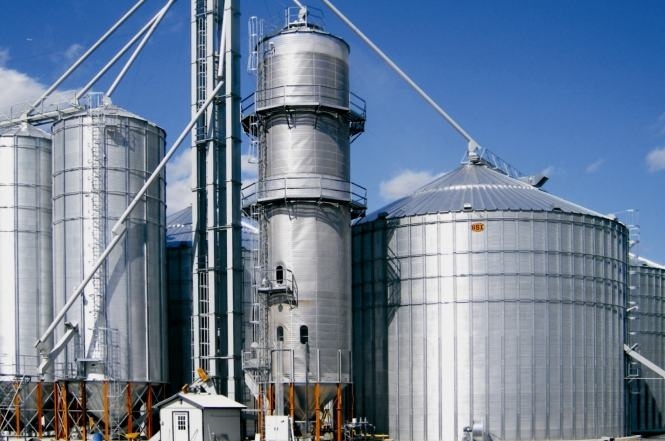 The construction of grain storage and handling equipment is very demanding and time-sensitive. At Earl Horst Systems Ltd, we understand your time constraints and have assembled a team of dedicated professionals to meet your needs. Project efficiency is enhanced through our complete range of integrated services. Advanced resource management ensures specific trades are available when required for your project. The proven reputation of Earl Horst Systems Ltd is based on a solid record of innovative ideas and efficient systems. 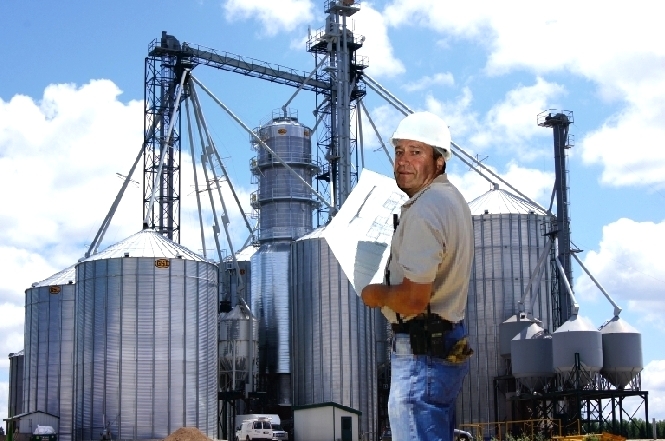 Earl's experience in the grain handling industry spans well over 20 years, but experience alone does not ensure satisfac- tion and superior performance. He also established a customer first, "can do" attitude, and applied his keen innovative skills to each engineering challenge encountered. 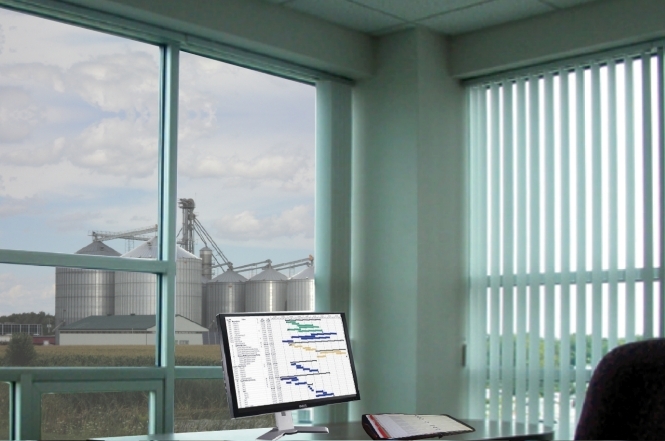 Earl Horst Systems Ltd. specializes in providing complete-package grain handling systems. Our full range of integrated services helps to stream-line the entire construction process. Effective scheduling of product delivery, work crews, trades, and equipment is essential to maintain project timelines. At Horst Systems, we employ advanced resource management protocols to ensure project efficiency. Contact your project manager for an overview of your project timeline! The integrated capabilities of Earl Horst Systems Ltd. are further enhanced by our large manufacturing facility. 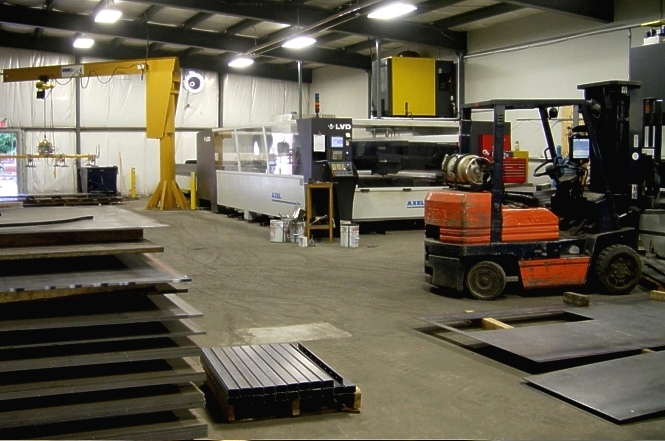 Our plant is equipped with a high-tech laser cutting table, CNC break press, roll-forming equipment, and more, enabling us to fabricate, weld, and finish custom parts in-house. When the construction or repair of your grain system calls for a custom transition, structure, or specialty component not readily available from our suppliers, we don't wait for it ...we BUILD IT! Integrated manufacturing permits the rapid turn-around essential to maintain project timelines. 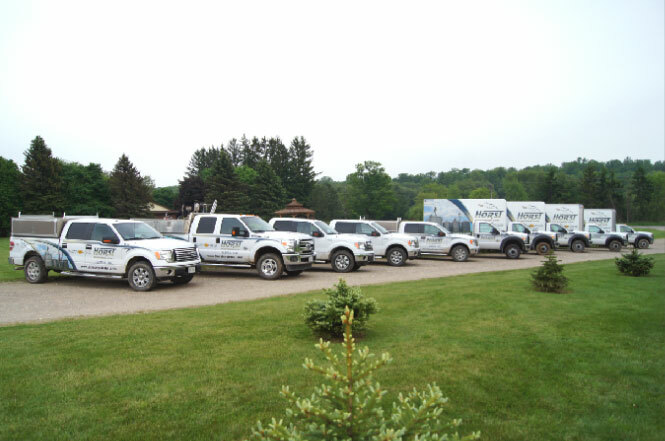 Horst Systems has a fleet of late-model highway trucks, ensuring that your system will be delivered as efficiently as possible. 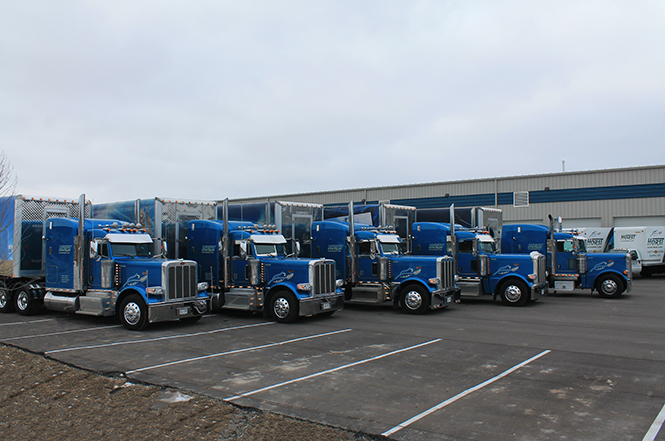 Our curtain-side trailers provide superior all-weather protection, so your GSI equipment will arrive looking just as good as when it left the factory in Illinois. These rolling billboards also deliver high-visibility exposure for some of our signature installations. Perhaps your new grain handling system will be featured on our next new trailer! Horst Systems is equipped to handle all of your excavation, backfill, and grading requirements during the construction of your grain handling system. 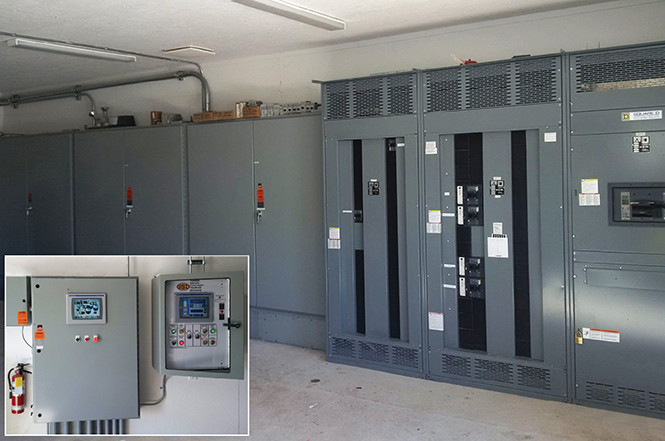 Having our own equipment on-site allows us to provide more efficient service to our clients, as the equipment is readily available when required. Multiple moving charges from commercial excavators are eliminated, and we are able to provide complete package, turn-key systems for our clients. 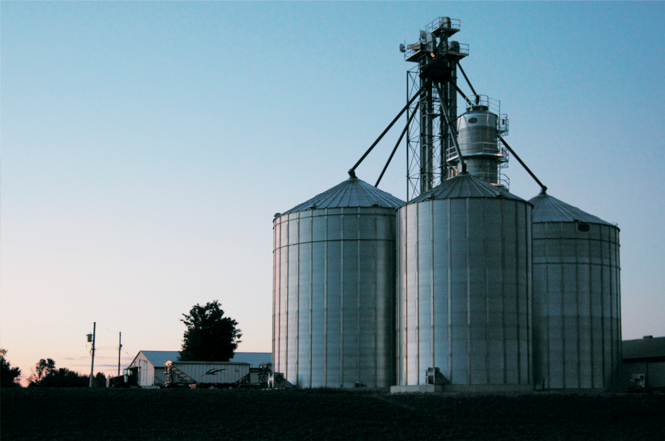 The best grain storage & handling systems are always founded on quality concrete work. Our experienced forming and finishing crews understand this priority, and are committed to quality workmanship. Our recent investment in hydronic ground heating systems and thermal blankets enable us to extend the season. Efficiency and productivity are evident in all operations at Earl Horst Systems Ltd., but our bin jacking process is simply outstanding. Earl's experience and innovation has allowed us to develop systems and specialized equipment to streamline the bin erection process. You simply won't find more capable or efficient bin jacking crews than the teams fielded by Horst Systems. We salute the crew members who have established our reputation, and invite you to experience the difference on your next project. In the past five years, Earl Horst Systems has built and commis-sioned more large crop dryers in Ontario than any other dealer. 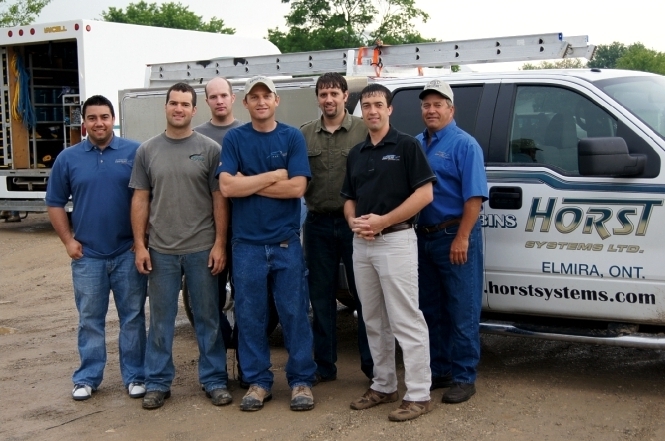 We have a dedicated team of dryer technicians who specialize in new dryer construction and activation. This crew is one of most experienced dryer construction teams in the industry, ensuring your investment is built to manufacturer's specs. We always ensure that one of our senior CDT's (Certified Dryer Technicians) is on-site for the initial start-up sequence & commissioning of each dryer. When the concrete has been poured, the bins constructed, and the dryer erected, our millwrights move in. These experienced technicians are responsible for all mechan-ical aspects of the system. This includes elevators, distributors, bin sweeps, and conveyors, along with the control systems and downspouting. Millwrights perform final testing to ensure all components are functioning properly. As one of the largest suppliers of grain systems in Ontario, Horst has established a grow-ing team of specialists, with four millwright crews at present, and more coming soon. Technicians who perform repairs & maintenance on gas-fired dryers must be licensed by TSSA as Crop Dryer Tech-nicians (CDT), as evidence that they have the specialized skills and training required to safely perform dryer service work. Earl Horst Systems Ltd. leads the industry in Ontario with a team of seven licensed CDT's. Our CDT's have a broad range of experience in various types of drying equipment. If you have a problem with your dryer, our team will go the extra mile to get your equipment back on-line as soon as possible. - your Dryer Service Specialists! Today's crop dryers and grain systems feature the latest electronics & touch-screen controls. These complex systems are often beyond the experience and training of rural electrical firms. Horst's electrical team is at the leading edge in industrial electronics, delivering innovative solutions and technical support. When you speak with clients about Horst Systems, you will probably hear comments about innovation, efficiency, and quality construction. We take pride in that reputation, but above and beyond those strengths, we are confident they will speak of our commitment to service and support. Back in 1991, Earl established a vision for excellent customer service. Thru his dedication and the efforts of our hard-working team, we have built a reputation that reflects his goal. Today, we remain committed to that vision. We take deliberate steps to structure our resources and schedules to accommodate the service needs of our clients. The vision for excellent service at Earl Horst Systems Ltd led to the creation of a comprehensive parts department. Our selection of parts continues to grow and we stock most com-mon replacement items required in the normal operation and maintenance of grain systems. While we are an exclusive GSI dealer, our parts inventory is not limited to GSI equipment. As a service to the grain growers and elevators in Ontario, we also stock parts for other brands of dryers and handling equipment. Distributors, valves, transitions, auger flighting, bearings, bolts, and more; whatever you need, give us a call!